In addition to that, the cottages are normally fully fledged. This means that all your furniture, kitchenware and entertainment needs are covered. You basically won't need to shop around for the basic things. More than that is the alluring architecture that most cottages exude. Mahogany-made closets and cabinets, granite countertops and marble floors are some of the things to expect during your stay. You won't find such aesthetics in your average cottage. There is a lot more in store for you such as a fireplace in case you make your trip during winter. The cottages also offer air conditioning and entertainment facilities. Our cottages are strategically positioned to enable you savor the beauty of nature. For instance, you can take part in bird watching, nature walks, picnics and much more. Not matter what time of the year there are always lots of things to do for all ages at VisitBlueMountain. 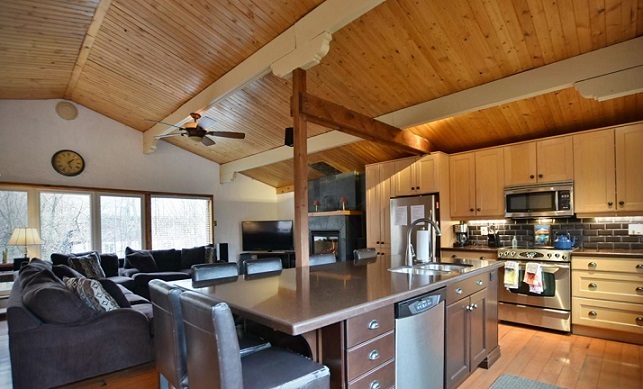 Book your Cottage Rentals at Blue Mountain Village today and enjoy what the area has to offer.